Eugenol oil is derived from the flower buds of the clove tree found in the tropical regions. Cloves are aromatic spices that have a variety of medicinal and culinary uses. 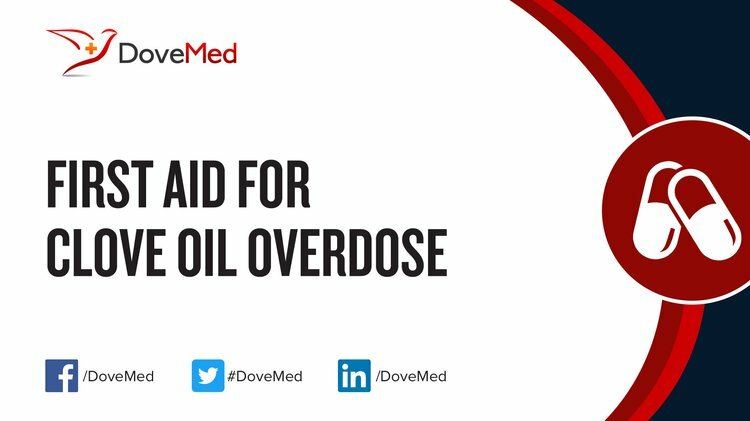 The topic First Aid for Clove Oil Overdose you are seeking is a synonym, or alternative name, or is closely related to the topic First Aid for Eugenol Oil Overdose. Please find relevant information on First Aid for Clove Oil Overdose regarding cause, signs & symptoms, administration of first aid treatment, prognosis, preventive measures, and additional resources HERE. What are some Useful Resources for Additional Information for Clove Oil Overdose? Kildea, M. A., Allan, G. L., & Kearney, R. E. (2004). Accumulation and clearance of the anaesthetics clove oil and AQUI-S™ from the edible tissue of silver perch (Bidyanus bidyanus). Aquaculture, 232(1), 265-277. Cooke, S. J., Suski, C. D., Ostrand, K. G., Tufts, B. L., & Wahl, D. H. (2004). Behavioral and physiological assessment of low concentrations of clove oil anaesthetic for handling and transporting largemouth bass (Micropterus salmoides). Aquaculture, 239(1), 509-529. Holloway, A. C., Keene, J. L., Noakes, D. G., & Moccia, R. D. (2004). Effects of clove oil and MS‐222 on blood hormone profiles in rainbow trout Oncorhynchus mykiss, Walbaum. Aquaculture research, 35(11), 1025-1030. Davis, D. J., Klug, J., Hankins, M., Doerr, H. M., Monticelli, S. R., Song, A., ... & Bryda, E. C. (2015). Effects of clove oil as a euthanasia agent on blood collection efficiency and serum cortisol levels in Danio rerio. Journal of the American Association for Laboratory Animal Science, 54(5), 564-567. Guba, R. (2000). Toxicity Myths. International Journal of Aromatherapy, 10(1/2), 37-49.